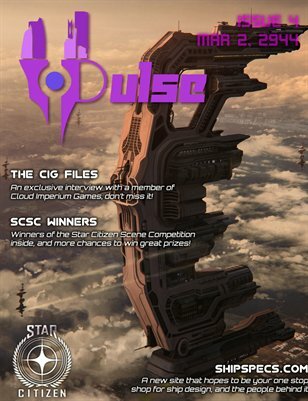 The fourth issue of Pulse, the Star Citizen community magazine! This issue features fan art, an interview with a member of Cloud Imperium Games, and interviews with the fan base of Star Citizen, the upcoming Chris Roberts space simulation. Enjoy!